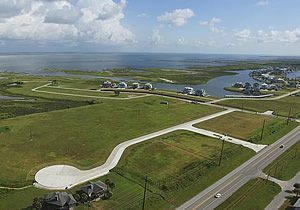 These are large lots, great views of Gulf of Mexico and Galveston West Bay, 2 new entrances, gated, and part of highly successful Sunset Cove restrictions and amenities. Real estate agent’s clients must be registered in order for commission to be paid at closing. 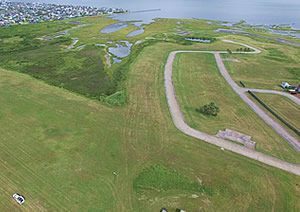 Developer will consider financing to qualified buyers. These prices may change without notice, and owner reserves the right to withdraw lots at any time, without recourse, from the market. This list may be reproduced by the listing agent for marketing purposes only to sell lots. 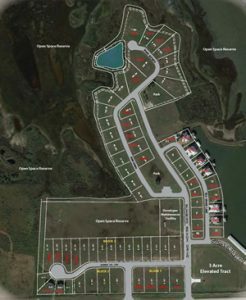 Lot 1, Block 2, Estates of Sunset Cove Phase 2, 21,456sf, 21301 Scissor Tail Lane .. Building a house for sale,call now 409 692 5221, Estates of Sunset Cove Lp, Ross Novelli Jr, President. 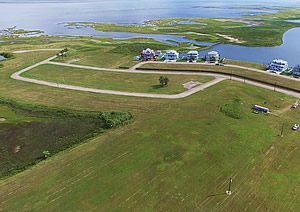 3% selling agent commission, Broker must be the procuring cause of the sale, Broker must accompany buyer at first showing to receive a commission. 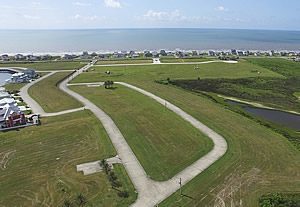 All lot elevations range from 11’-12.5’ above sea level, highest lots on the west end of Galveston, gated, private concrete streets, boat ramp, many amenities, great views of beach and bay! Per FEMA proposed maps, all flood zones within the subdivisions are to be changed to zones A, 11-13.